Brian is an employment lawyer and trial attorney who currently represents a wide variety of companies in work-related disputes. Although he has extensive experience trying cases as a “first-chair” lawyer before both judges and juries, Brian is a trained advocate who also represents clients at a broad range of alternative dispute resolution (“ADR”) proceedings, including both mediations and arbitrations. Brian’s principal focus is the defense of employment-related lawsuits, including allegations of discrimination, retaliation, and hostile work environment. He has unique expertise overcoming both whistleblower protection and sexual harassment claims, and considerable proficiency attacking and defending both non-compete and non-disclosure agreements. 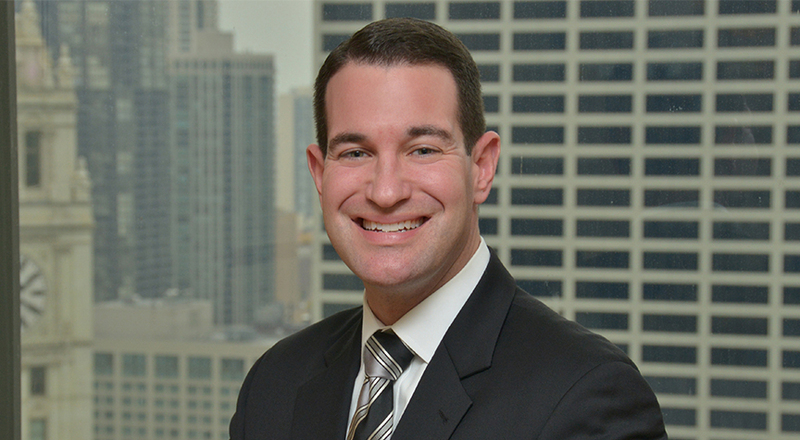 Brian is adept at drafting handbooks and workplace policies intended to minimize litigation risk, and he remains one of the few attorneys in Chicago that has experience with both Illinois’ new Pregnancy Fairness Law and Cook County’s new paid sick-leave ordinance. Prior to joining Taft, Brian was a trial attorney for a highly specialized commercial litigation boutique in downtown Washington, D.C. Before that, he spent six years on active military duty with the United States Navy’s Judge Advocate General’s Corps (JAG). Eventually rising to the rank of Lieutenant Commander with the JAG Corps, Brian defended clients at more than thirty contested court-martials involving allegations of inchoate, pecuniary, and violent crimes. He also counseled more than 500 service personnel during various stages of internal investigations, boards of inquiry, and inspector general inquests. Later in his military career, Brian became a prosecutor with the Office of Military Commissions – the litigating unit assigned to prosecute suspected al Qaeda and Taliban members detained by the Department of Defense at Guantanamo Bay, Cuba. As his final duty with the U.S. Navy, Brian served as a prosecutor in the landmark case of United States v. Hicks, the first domestic war-crime tribunal and conviction in nearly 60 years. Over the years, Brian’s opponents have called him “thoughtful,” “strategic,” “disarming,” and “particularly polished in the courtroom.” A former commanding officer (a three-star admiral) described him as “a dynamic, forward-thinking officer and leader, [who] demonstrates unlimited legal, leadership potential.” In each of his cases, Brian strives to exhibit model professional conduct and an unwavering commitment to personal ethics and core values. Although aggressive when necessary, Brian prefers to save his clients time and money by finding creative or non-traditional solutions to problems other attorneys would handle by posturing or idle threats. Brian is a strong proponent of personal relationships and mentoring, and a staunch advocate of greater diversity and equality in the workplace. He holds an advanced law degree (an LL.M.) in “Litigation and Dispute Resolution,” and maintains an “AV Preeminent” peer review rating from Martindale-Hubbell. Brian encourages those in need of prompt, affordable, high-quality legal services to contact him directly at any time.